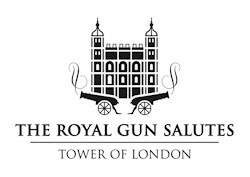 Royal Salute Scotch Whisky has become the first ever brand to be officially associated with the Royal Gun Salutes at the Tower of London. The partnership will support the work of Historic Royal Palaces, the independent charity responsible for the Tower of London, and through this will see Royal Salute, the world’s leading luxury Scotch whisky, associated with the gun salutes at Her Majesty’s Tower of London that mark special royal occasions and other VIP salutes. 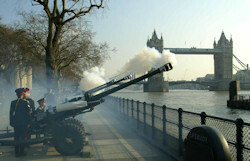 The partnership will be launched when the Royal Gun Salute is fired from the Tower of London, on 3rd June 2012 to signal the arrival of the magnificent river pageant in honour of Her Majesty’s The Queen’s Diamond Jubilee. The five-year partnership will play an important role for Royal Salute as it continues to build upon its unique heritage. The partnership embeds a long-term relationship between Historic Royal Palaces and Royal Salute, which will be sealed with an official marque to be applied to Royal Salute Scotch Whisky packaging, and will allow the brand to provide unrivalled hospitality opportunities for guests in London. As the world’s only exclusively prestige Scotch whisky, Royal Salute continues to redefine the pinnacle of the category and starts where others end with all whiskies matured for a minimum of 21 years.